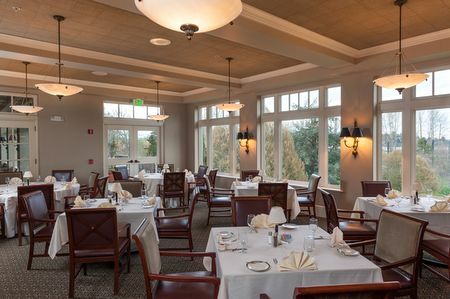 The clubhouse provides areas for casual and formal dining, a ball room for formal events, locker rooms and a golf shop that carries a complete range of golf equipment and attire. Four PGA golf professionals are on staff led by Head Professionals, Dan Hill and Tim Feenstra, to provide advice regarding equipment and lessons on all phases of the game. The club permits members to sponsor weddings, business meetings and other private events at any one the club’s excellent dining rooms. In addition there are three large terraces with views of the 18th fairway, Lake Washington, and the Cascade Mountains. Broadmoor has adopted Master Plans for the golf course and the clubhouse to maintain and improve the classic character of the facilities. Following an extensive remodel in 1990, the membership has adopted a current Clubhouse Master Plan which amongst many improvements has added a casual bar and dining area and enhanced two terraces with new furnishings.